My jam this month isn't a brand spankin' new single. 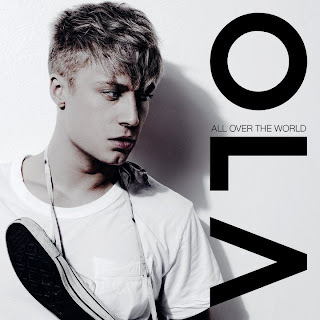 In fact, Ola's "All Over The World" was released overseas last summer, and regrettably I had to find out about it now. The track is pure, unadulterated Eurotrash pop. But it's digestible Eurotrash pop. While I expected the video to feature the Swedish pop singer globetrotting across different continents with a bevy of babes following him (as the chorus would instruct), I realized that concept would probably involve a production budget as big as Gaga's last three epics combined. Therefore, whoever shot the music video apparently took the lyric "follow me all over the world" to mean "let's walk around New York City late at night and see what happens."